You are currently browsing the tag archive for the ‘Andrew lang’ tag. Just submitted this book with 34 tales and stories to the printer for it’s proof run. It has a truly unique collection of stories and tales with none of the usual favourites. In addition it has 6 colour plates and 36 BnW illustrations. 33% of the net profit will be donated to the Temi Charitable Foundation in the Republic of Georgia. 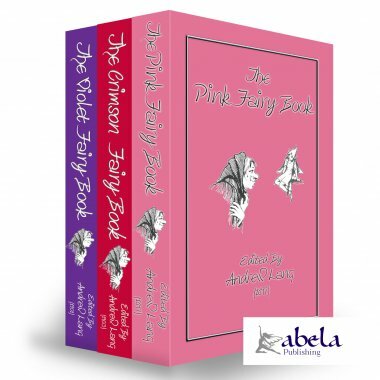 And now here’s the Pink Book just for YOU! Yet leads to Books—Green, Blue, and Red. 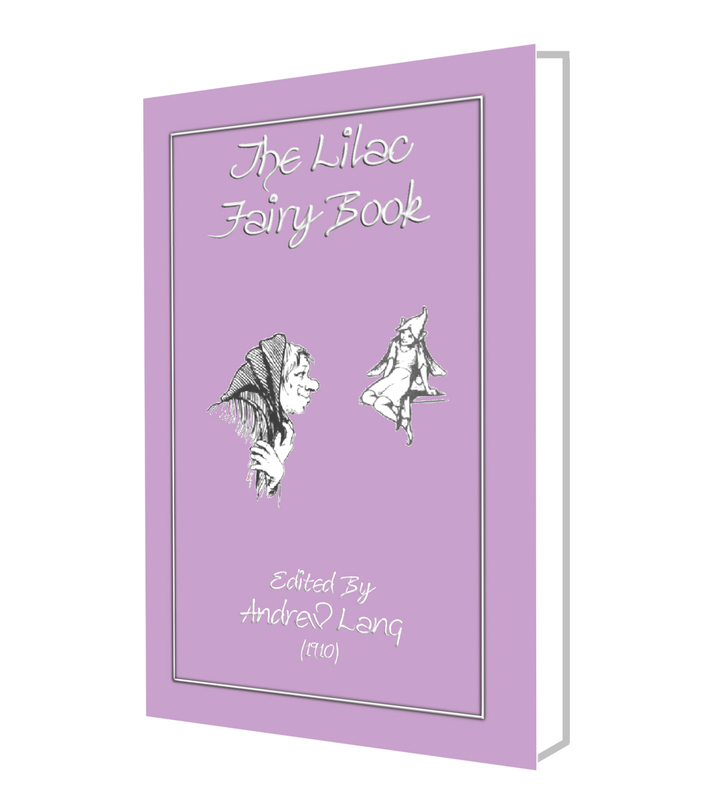 Penned by Andrew Lang as an introduction to his Pink Fairy Books – now part of a 3 book set. There once lived a merchant whose name was Mark, and whom people called ‘Mark the Rich.’ He was a very hard-hearted man, for he could not bear poor people, and if he caught sight of a beggar anywhere near his house, he would order the servants to drive him away, or would set the dogs at him. The three old men stood in the middle of the loft, leaning on their sticks, with their long grey beards flowing down over their hands, and were talking together in low voices. ‘What news is there?’ asked the eldest. ‘In the next village the peasant Ivan has just had his seventh son. What shall we name him, and what fortune shall we give him?’ said the second. After a little more talk the three made themselves ready and crept softly away. Anastasia, who had heard every word, ran straight to her father, and told him all. Mark was very much surprised; he thought, and thought, and in the morning he drove to the next village to try and find out if such a child really had been born. He went first to the priest, and asked him about the children in his parish. Very soon after this some foreign merchants travelled along that same road on the way to see Mark and to pay the twelve thousand crowns which they owed him. As they were passing near the precipice they heard a sound of crying, and on looking over they saw a little green meadow wedged in between two great heaps of snow, and on the meadow lay a baby amongst the flowers. The merchants were very pleased to make so good a bargain, left the child with Mark, and drove off. The boy lived on with the monks, and grew up to be a clever, gentle, and handsome young man. No one could read, write, or sing better than he, and he did everything so well that the abbot made him wardrobe keeper. Now, it happened about this time that the merchant, Mark, came to the monastery in the course of a journey. The monks were very polite to him and showed him their house and church and all they had. When he went into the church the choir was singing, and one voice was so clear and beautiful, that he asked who it belonged to. Then the abbot told him of the wonderful way in which Vassili had come to them, and Mark saw clearly that this must be his godson whom he had twice tried to kill. The abbot hesitated a good deal, but he consulted all the other monks, and at last they decided that they ought not to stand in the way of Vassili’s good fortune. ‘I am going to the house of Mark the Merchant, and have a letter for his wife,’ replied Vassili. Anastasia saw the bearer of the letter and he pleased her very much. They dressed Vassili in fine clothes and next day he was married to Anastasia. In due time, Mark returned from his travels. His wife, daughter, and son-in-law all went out to meet him. When Mark saw Vassili he flew into a terrible rage with his wife. ‘How dared you marry my daughter without my consent?’ he asked. Mark read it. It certainly was his handwriting, but by no means his wishes. ‘Well,’ thought he, ‘you’ve escaped me three times, but I think I shall get the better of you now.’ And he waited a month and was very kind and pleasant to his daughter and her husband. Vassili dared not disobey. He said good-bye to his young wife, who cried bitterly at parting, hung a bag of biscuits over his shoulders, and set out. ‘I will remember,’ said Vassili, and he went on. He walked, and walked, and walked, till he came to a great green meadow. In the meadow stood a large and splendid castle. Its white marble walls sparkled in the light, the roof was covered with mother o’ pearl, which shone like a rainbow, and the sun glowed like fire on the crystal windows. Vassili walked in, and went from one room to another astonished at all the splendour he saw. Then she rose up to receive the Serpent King. And the Serpent King closed his eyes, turned round on his other side, and began to snore so loud that the windows rattled. In all haste the lovely girl helped Vassili out of the chest, and showed him part of his way back. He thanked her very politely, and hurried off. The great fish heaved itself up and threw up all the twelve ships and their crews. Then he shook himself for joy, and plunged into the sea. When they had crossed over, Vassili said: ‘Let the next man who comes stay in the boat, but do you step on shore, push the boat off, and you will be free, and the other man must take your place. Then Vassili went on further still, and soon came to the old oak tree, pushed it with his foot, and it fell over. There, at the roots, was more gold and silver than even Mark the Rich had. And now the twelve ships which the whale had thrown up came sailing along and anchored close by. On the deck of the first ship stood the three beggars whom Vassili had met formerly, and they said: ‘Heaven has blessed you, Vassili.’ Then they vanished away and he never saw them again. The sailors carried all the gold and silver into the ship, and then they set sail for home with Vassili on board. Vassili led a good and happy life with his dear wife, and his kind mother-in-law lived with them. He helped the poor and fed and clothed the hungry and naked and all Mark’s riches became his. For many years Mark has been ferrying people across the river. His face is wrinkled, his hair and beard are snow white, and his eyes are dim; but still he rows on. Once upon a time, long, long ago, there were two brothers, the one rich and the other poor. When Christmas Eve came, the poor one had not a bite in the house, either of meat or bread; so he went to his brother, and begged him, in God’s name, to give him something for Christmas Day. It was by no means the first time that the brother had been forced to give something to him, and he was not better pleased at being asked now than he generally was. “If you will do what I ask you, you shall have a whole ham,” said he. The poor one immediately thanked him, and promised this. “Well, here is the ham, and now you must go straight to Dead Man’s Hall,” said the rich brother, throwing the ham to him. “Well, I will do what I have promised,” said the other, and he took the ham and set off. He went on and on for the livelong day, and at nightfall he came to a place where there was a bright light. “I have no doubt this is the place,” thought the man with the ham. “Good-evening,” said the man with the ham. “Good-evening to you. Where are you going at this late hour?” said the man. “I am going to Dead Man’s Hall, if only I am on the right track,” answered the poor man. “Oh! I could not come before; I had something of importance to see about, and a long way to go, too; but now you shall just see!” said the man, and then he set the hand-mill on the table, and bade it first grind light, then a table-cloth, and then meat, and beer, and everything else that was good for a Christmas Eve’s supper; and the mill ground all that he ordered. “Bless me!” said the old woman as one thing after another appeared; and she wanted to know where her husband had got the mill from, but he would not tell her that. “Never mind where I got it; you can see that it is a good one, and the water that turns it will never freeze,” said the man. So he ground meat and drink, and all kinds of good things, to last all Christmas-tide, and on the third day he invited all his friends to come to a feast. Now when the rich brother saw all that there was at the banquet and in the house, he was both vexed and angry, for he grudged everything his brother had. “On Christmas Eve he was so poor that he came to me and begged for a trifle, for God’s sake, and now he gives a feast as if he were both a count and a king!” thought he. “But, for heaven’s sake, tell me where you got your riches from,” said he to his brother. “From behind the door,” said he who owned the mill, for he did not choose to satisfy his brother on that point; but later in the evening, when he had taken a drop too much, he could not refrain from telling how he had come by the hand-mill. “There you see what has brought me all my wealth!” said he, and brought out the mill, and made it grind first one thing and then another. When the brother saw that, he insisted on having the mill, and after a great deal of persuasion got it; but he had to give three hundred dollars for it, and the poor brother was to keep it till the haymaking was over, for he thought: “If I keep it as long as that, I can make it grind meat and drink that will last many a long year.” During that time you may imagine that the mill did not grow rusty, and when hay-harvest came the rich brother got it, but the other had taken good care not to teach him how to stop it. It was evening when the rich man got the mill home, and in the morning he bade the old woman go out and spread the hay after the mowers, and he would attend to the house himself that day, he said. So the mill began to grind herrings and milk pottage, and first all the dishes and tubs were filled, and then it came out all over the kitchen-floor. The man twisted and turned it, and did all he could to make the mill stop, but, howsoever he turned it and screwed it, the mill went on grinding, and in a short time the pottage rose so high that the man was like to be drowned. So he threw open the parlour door, but it was not long before the mill had ground the parlour full too, and it was with difficulty and danger that the man could go through the stream of pottage and get hold of the door-latch. When he got the door open, he did not stay long in the room, but ran out, and the herrings and pottage came after him, and it streamed out over both farm and field. Now the old woman, who was out spreading the hay, began to think dinner was long in coming, and said to the women and the mowers: “Though the master does not call us home, we may as well go. It may be that he finds he is not good at making pottage and I should do well to help him.” So they began to straggle homeward, but when they had got a little way up the hill they met the herrings and pottage and bread, all pouring forth and winding about one over the other, and the man himself in front of the flood. “Would to heaven that each of you had a hundred stomachs! Take care that you are not drowned in the pottage!” he cried as he went by them as if Mischief were at his heels, down to where his brother dwelt. Then he begged him, for God’s sake, to take the mill back again, and that in an instant, for, said he: “If it grind one hour more the whole district will be destroyed by herrings and pottage.” But the brother would not take it until the other paid him three hundred dollars, and that he was obliged to do. Now the poor brother had both the money and the mill again. So it was not long before he had a farmhouse much finer than that in which his brother lived, but the mill ground him so much money that he covered it with plates of gold; and the farmhouse lay close by the sea-shore, so it shone and glittered far out to sea. Everyone who sailed by there now had to be put in to visit the rich man in the gold farmhouse, and everyone wanted to see the wonderful mill, for the report of it spread far and wide, and there was no one who had not heard tell of it. After a long, long time came also a skipper who wished to see the mill. He asked if it could make salt. “Yes, it could make salt,” said he who owned it, and when the skipper heard that, he wished with all his might and main to have the mill, let it cost what it might, for, he thought, if he had it, he would get off having to sail far away over the perilous sea for freights of salt. At first the man would not hear of parting with it, but the skipper begged and prayed, and at last the man sold it to him, and got many, many thousand dollars for it. When the skipper had got the mill on his back he did not stay there long, for he was so afraid that the man would change his mind, and he had no time to ask how he was to stop it grinding, but got on board his ship as fast as he could. When he had gone a little way out to sea he took the mill on deck. “Grind salt, and grind both quickly and well,” said the skipper. So the mill began to grind salt, till it spouted out like water, and when the skipper had got the ship filled he wanted to stop the mill, but whichsoever way he turned it, and how muchsoever he tried, it went on grinding, and the heap of salt grew higher and higher, until at last the ship sank. There lies the mill at the bottom of the sea, and still, day by day, it grinds on; and that is why the sea is salt. Everybody knows that though the fairies live hundreds of years they do sometimes die, and especially as they are obliged to pass one day in every week under the form of some animal, when of course they are liable to accident. It was in this way that death once overtook the Queen of the Fairies, and it became necessary to call a general assembly to elect a new sovereign. After much discussion, it appeared that the choice lay between two fairies, one called Surcantine and the other Paridamie; and their claims were so equal that it was impossible without injustice to prefer one to the other. Under these circumstances it was unanimously decided that whichever of the two could show to the world the greatest wonder should be Queen; but it was to be a special kind of wonder, no moving of mountains or any such common fairy tricks would do. Surcantine, therefore, resolved that she would bring up a Prince whom nothing could make constant. While Paridamie decided to display to admiring mortals a Princess so charming that no one could see her without falling in love with her. They were allowed to take their own time, and meanwhile the four oldest fairies were to attend to the affairs of the kingdom. Now Paridamie had for a long time been very friendly with King Bardondon, who was a most accomplished Prince, and whose court was the model of what a court should be. His Queen, Balanice, was also charming; indeed it is rare to find a husband and wife so perfectly of one mind about everything. They had one little daughter, whom they had named ‘Rosanella,’ because she had a little pink rose printed upon her white throat. From her earliest infancy she had shown the most astonishing intelligence, and the courtiers knew her smart sayings by heart, and repeated them on all occasions. In the middle of the night following the assembly of fairies, Queen Balanice woke up with a shriek, and when her maids of honour ran to see what was the matter, they found she had had a frightful dream. ‘Let some one run and see that all is well with the Princess,’ she added. The Queen hastily opened the baskets, and found in each a lovely baby-girl, about the same age as the little Princess for whom she sorrowed so deeply. At first the sight of them renewed her grief; but presently their charms so gained upon her that she forgot her melancholy in providing them with nursery-maids, cradle-rockers, and ladies-in-waiting, and in sending hither and thither for swings and dolls and tops, and bushels of the finest sweetmeats. Of course, with all these charms they had lovers by the dozen. Not only in their own court, but princes from afar, who were constantly arriving, attracted by the reports which were spread abroad; but these lovely girls, the first Maids of Honour, were as discreet as they were beautiful, and favoured no one. But let us return to Surcantine. She had fixed upon the son of a king who was cousin to Bardondon, to bring up as her fickle Prince. She had before, at his christening, given him all the graces of mind and body that a prince could possibly require; but now she redoubled her efforts, and spared no pains in adding every imaginable charm and fascination. So that whether he happened to be cross or amiable, splendidly or simply attired, serious or frivolous, he was always perfectly irresistible! In truth, he was a charming young fellow, since the Fairy had given him the best heart in the world as well as the best head, and had left nothing to be desired but—constancy. For it cannot be denied that Prince Mirliflor was a desperate flirt, and as fickle as the wind; so much so, that by the time he arrived at his eighteenth birthday there was not a heart left for him to conquer in his father’s kingdom—they were all his own, and he was tired of everyone! Things were in this state when he was invited to visit the court of his father’s cousin, King Bardondon. Imagine his feelings when he arrived and was presented at once to twelve of the loveliest creatures in the world, and his embarrassment was heightened by the fact that they all liked him as much as he liked each one of them, so that things came to such a pass that he was never happy a single instant without them. For could he not whisper soft speeches to Sweet, and laugh with Joy, while he looked at Beauty? And in his more serious moments what could be pleasanter than to talk to Grave upon some shady lawn, while he held the hand of Loving in his own, and all the others lingered near in sympathetic silence? For the first time in his life he really loved, though the object of his devotion was not one person, but twelve, to whom he was equally attached, and even Surcantine was deceived into thinking that this was indeed the height of inconstancy. But Paridamie said not a word. In vain did Prince Mirliflor’s father write commanding him to return, and proposing for him one good match after another. Nothing in the world could tear him from his twelve enchantresses. ‘Very soon you will cease to miss them!’ in a tone that evidently meant ‘Don’t ask me any more questions.’ And then mounting again into her chariot she swiftly disappeared. The news of his beautiful cousin’s arrival was soon carried to the Prince, but he had hardly the heart to go and see her. However, it became absolutely necessary that he should pay his respects, and he had scarcely been five minutes in her presence before it seemed to him that she combined in her own charming person all the gifts and graces which had so attracted him in the twelve Rose-maidens whose loss he had so truly mourned; and after all it is really more satisfactory to make love to one person at a time. So it came to pass that before he knew where he was he was entreating his lovely cousin to marry him, and the moment the words had left his lips, Paridamie appeared, smiling and triumphant, in the chariot of the Queen of the Fairies, for by that time they had all heard of her success, and declared her to have earned the kingdom. She had to give a full account of how she had stolen Rosanella from her cradle, and divided her character into twelve parts, that each might charm Prince Mirliflor, and when once more united might cure him of his inconstancy once and for ever. who would not have been in his place? As for Rosanella, she loved him as much as all the twelve beauties put together, so they reigned in peace and happiness to the end of their long lives. By the Comte de Caylus.